Former Homeland Security Secretary Kirstjen Nielsen’s attempts to raise the alarm about Russian interference in American elections was thwarted by White House Chief of Staff Mick Mulvaney, who told her not to bring up the subject with President Donald Trump, The New York Times reported on Wednesday. Mulvaney made it clear that Trump viewed any public talk of malign Russian election activity with questions about the legitimacy of his victory and thus did not want the subject discussed. Even though the Department of Homeland Security has the main responsibility for civilian cyberdefense and Nielsen was extremely concerned about Russia’s interference in the 2018 midterm elections and future ones, she gave up on attempts to organize a White House meeting of cabinet secretaries to coordinate a strategy to protect next year’s elections due to Trump’s attitude. Nielsen’s frustrations were described to the Times by three senior administration officials and a former one, with the White House refusing to provide comment. Nielsen grew so frustrated with Trump’s refusal to discuss an overall strategy that she twice held her own top-level meetings on the subject. KIEV (Reuters) – When the Ukrainian president played by actor Volodymyr Zelenskiy faces a corrupt parliament in his TV comedy, he fantasizes about blasting them all away with two submachine guns. Now that Zelenskiy has been elected president in real life, Margarita Bulava, who voted for him, hopes he will have a similarly transformative effect on the country’s politics. One of Zelenskiy’s biggest challenges will be meeting the expectations of voters like 28-year-old event hostess Bulava, who had never voted before last Sunday’s presidential election. Now she has an ambitious wish-list. There should be no inflation. People like her mother, who works in a laundry in Poland, should stop needing to move abroad for better paid jobs. There should be peace with Russia. Wages should be higher, and pensioners should be able to afford their heating bills without having to sell flowers in the subway. “It’s a huge plus that he has never been in politics because he is completely from another sphere. He sees the situation in the country through the eyes of the people,” said Bulava. But what if the new president fails to deliver? “It’s very scary if really none of this succeeds because expectations are really very big and everyone believes that something really should happen,” she said after working out at her gym in Kiev. 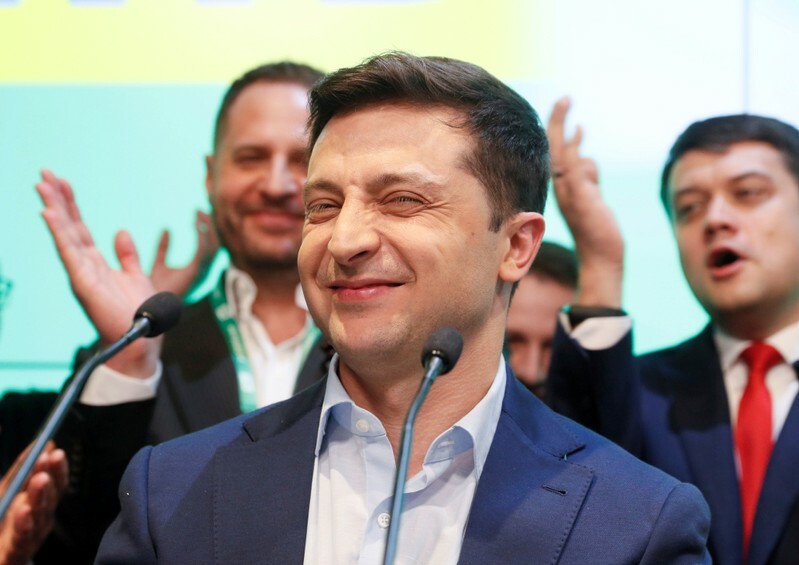 A comedian and actor with no prior political experience, Zelenskiy, 41, beat incumbent Petro Poroshenko by a landslide, promising change to a country at war with Russian-backed forces and facing some of the worst poverty in Europe. In a wildly successful election campaign, Zelenskiy remained vague on some key policy questions, trading on the image of the honest everyman he plays on TV: a schoolteacher who accidentally becomes president after a rant about corruption filmed by one of his students goes viral. But his outsider status may hamper his ability to deliver on his promises, especially early in his presidency when he has no lawmakers representing his party in parliament. And if he disappoints voters early on, that could make the problem worse, hurting his new party’s prospects going into October parliamentary elections that will determine the make-up of the cabinet with which he must share power. Zelenskiy’s vague positions on the campaign trail won him support from a wide array of voters who wanted to see new faces in politics. But that makes his popularity “fragile”, said Agnese Ortolani, an analyst at the Economist Intelligence Unit. His support “could dissipate quickly when it comes to making decisions that could alienate part of his constituency,” Ortolani said. 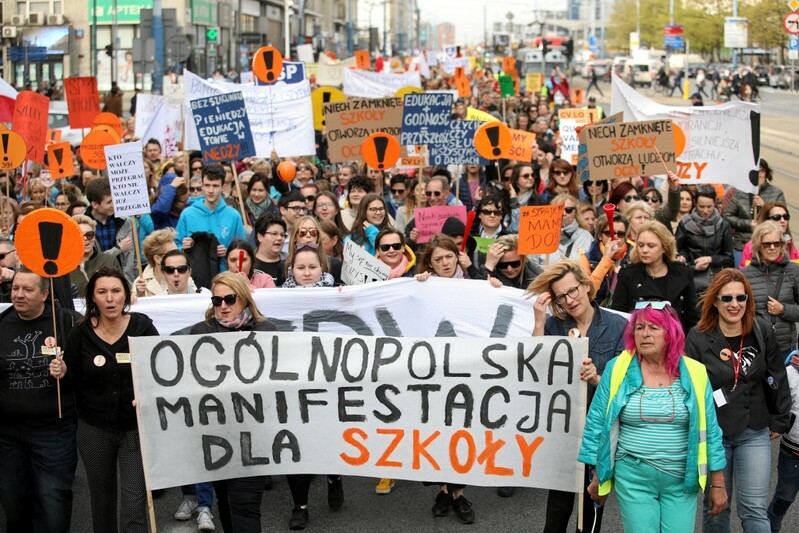 An April survey by the Kiev International Institute of Sociology (KIIS) highlighted two issues in particular that are high on voters’ wishlists. Thirty-nine percent of Ukrainians expect Zelenskiy to cut their heating bills in his first 100 days in charge, and 35 percent expect him to act on an election pledge to strip lawmakers of their immunity from prosecution. On heating tariffs, Zelenskiy is likely to face the same painful choice as his predecessors. Raising them will antagonize voters but lowering them risks derailing Ukraine’s $3.9 billion aid program from the International Monetary Fund, which has demanded Kiev allow gas prices to rise to market levels. For now, the question is mainly in the hands of the cabinet, picked by parliament, rather than Zelenskiy. Prime Minister Volodymyr Groysman see-sawed on the issue, first agreeing to raise tariffs early in his term in 2016 but then stalling on further increases. When the need for IMF loans became acute, he agreed to raise them last October. Zelenskiy called on Wednesday for the government to lower gas prices within days. Bonds fell after Zelenskiy’s statement. If his party wins the parliamentary election, and a Zelenskiy-picked government takes charge, the need for new IMF loans might box him into raising prices again. As for stripping lawmakers of their immunity, it was the sort of proposal aimed at cleaning out politics that won over voters such as bar owner Oleksiy Kostenyuk. “In my opinion, this will change our parliament radically. Those who break the law will go away, those who earn money illegally will go away, and we will get a new type of politician,” Kostenyuk said. Zelenskiy promised to introduce the necessary legislation but parliament may not play ball. Volodymyr Ariev, a lawmaker in Poroshenko’s faction, the largest in the chamber, told Reuters he did not expect such a move to succeed because politicians fear being prosecuted in political vendettas. Sooner or later, political reality will puncture the image of Zelenskiy’s straight-shooting TV persona, Ariev said. 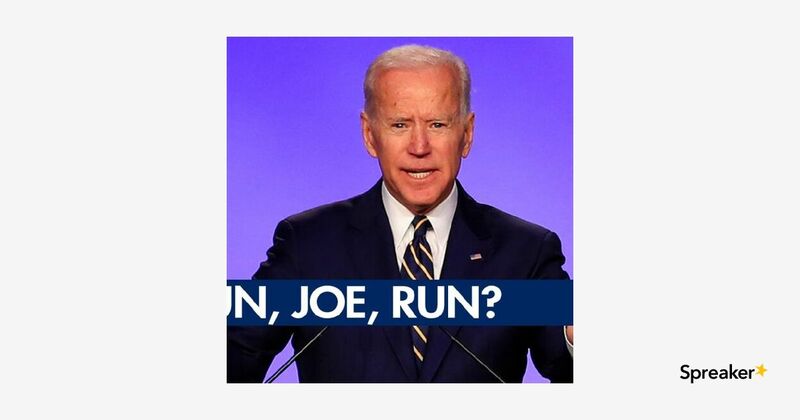 @limbaugh says @JoeBiden is @DNC best chance at beating @realDonaldTrump … but he has no chance because of Lefty Dems #MagaFirstNews W/@PeterBoykin Conservative radio host Rush Limbaugh said Tuesday that former Vice President Joseph Biden is the Democrats’ best chance to defeat President Trump in e going to sit well with the rest of this party, which has gone so far left,” Limbaugh said on “The Story with Martha MacCallum.” Limbaugh also said Biden may not be fully … See More committed to running in 2020. Biden’s long-awaited 2020 presidential bid announcement has been pushed back from Wednesday to Thursday Bernie Sanders’ call to let prisoners vote sparks heated debate – and an about-face from a rival From Meghan McCain and Whoopi Goldbergon “The View” to Cher on Twitter, 2020 presidential candidate Sen. Bernie Sanders caused quite a stir when he said during a CNN town hall Monday that convicted criminals in prison, including Boston Marathon bomber Dzhokhar Tsarnaev and rapists, should be allowed to vote. McCain seemed flabbergasted that Goldberg agreed with Sanders. Cher, an unapologetic celebrity liberal icon, blasted Sanders so thoroughly on Twitter that Donald Trump Jr. welcomed her to the Republican Party. The backlash appears to have caused potential 2020 rival, U.S. Sen. Kamala Harris, D-Calif., to rethink her views. After initially saying “we should have that conversation” about allowing criminals currently in prison to vote, Harris appeared to be backtracking, saying Tuesday that criminals such as murderers and terrorists should be deprived of their right to vote. ￼Video White House fights Democrats’ subpoenas, requests for Trump’s tax records The White House will fight House Democrats’ subpoena of testimony and documents from ex-White House counsel Don McGahn, Fox News is told — and almost immediately, House Judiciary Committee chairman Jerry Nadler, D-N.Y, characterized the move as “one more act of obstruction” by the Trump administration. The brewing fight over the McGahn subpoena was poised to set up a series of other contentious legal showdowns as Democrats seek to publicly question more current and former Trump aides who were featured prominently in Special Counsel Robert Mueller’s report on the Russia investigation. In addition, Carl Kline, a former White House personnel security director subpoenaed by Democrats, did not show up Tuesday for a scheduled deposition. 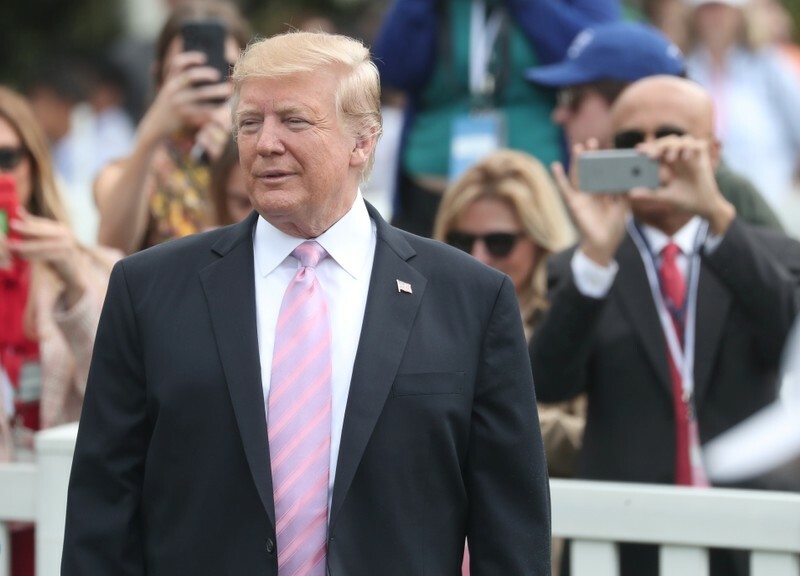 To make matters worse between Democrats and the Trump White House, the administration defied a demand from Ways and Means Committee Chairman Richard Neal, D-Mass., to turn over six years of Trump’s tax returns. Treasury Secretary Steve Mnuchin asked for more time and said he would give the panel a final decision by May 6. Hillary Clinton: Anyone other than Trump would have been indicted for obstruction Wall Street hopes for momentum after a super Tuesday All eyes will be on Wall Street on Wednesday after stocks closed at a new all-time high on Tuesday, as better-than-expected quarterly profits from some of the largest companies encouraged investors. The S&P 500 hit an all-time high, marking the stock market’s complete recovery from a nosedive at the end of last year. The benchmark index’s previous record was set last September, shortly before the market sank in the fourth quarter amid fears of a recession, an escalating trade war between the U.S. and China, and concern the Federal Reserve was moving too aggressively to raise interest rates. Still, shares were mostly lower in Asia on Wednesday as the rally on Wall Street ran out of steam. Investors seemed unswayed by the S&P 500’s performance. What is … another new ‘Jeopardy!’ record? “Jeopardy!” champ James Holzhauer has just broken another record. On Tuesday’s episode, the 34-year-old surpassed $1 million in the shortest time ever. His $118,816 win put his total take at $1,061,554 million after 14 games. This is the third separate record Holzhauer has shattered since he started competing on the game show. Last Wednesday, he won the episode with a total of $131,127, topping the one-day record he set earlier in his run of $110,914. 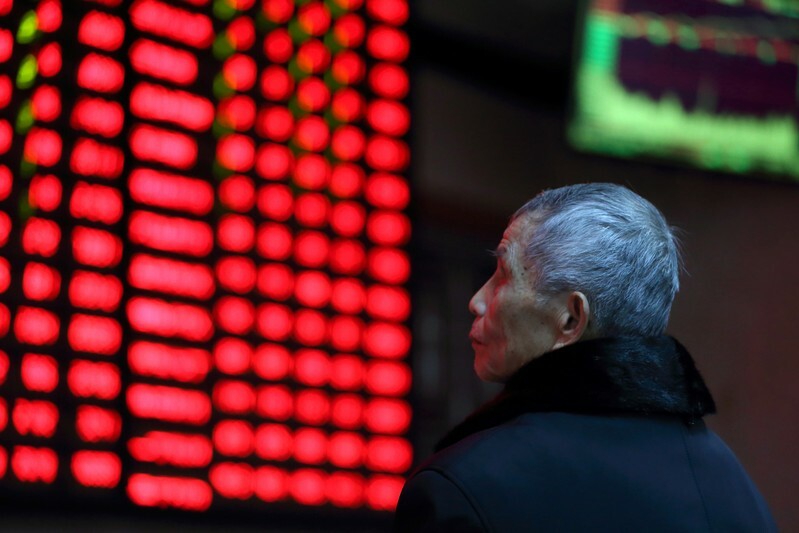 SHANGHAI (Reuters) – Equity markets in Asia rose on Wednesday morning after upbeat earnings helped the Nasdaq and S&P 500 indexes reach record closing highs on Wall Street overnight, while oil retreated from its near six-month highs. MSCI’s broadest index of Asia-Pacific shares outside Japan was up 0.1 percent in early trade in Asia. The gains followed a strong performance on Wall Street, driven by robust results from Coca-Cola, Twitter, United Technologies and Lockheed Martin. 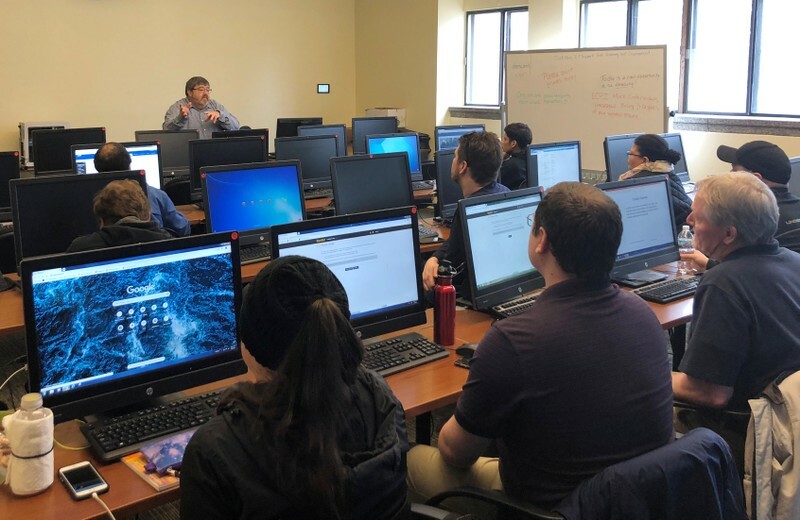 The Dow Jones Industrial Average rose 0.52 percent to 26,647.97, the S&P 500 gained 0.91 percent to 2,934.31 and the Nasdaq Composite added 1.35 percent to 8,123.25. On Wednesday morning, S&P 500 e-mini stock futures were up 0.03 percent at 2,938.75, just short of a record high of 2,944.75 on October 3. Australian shares gained 0.6 percent, while Japan’s Nikkei stock index was 0.3 percent higher. Seoul’s Kospi was up 0.1 percent. Analyst said that alongside better-than-feared corporate earnings, a more supportive policy environment is helping to boost risk appetites. “The Fed has been joined in its dovish tilt by major central banks across the globe … the tilt globally reflects genuine concern not to allow individual countries and the globe to tip into recession. That risk has receded,” Greg McKenna, strategist at McKenna Macro in Australia, said in a note to clients. Equity market gains had been bolstered on Tuesday by rising energy shares after Brent crude, the global benchmark, hit its highest level since Nov. 1. Oil prices had surged after the United States ended six months of waivers that allowed Iran’s eight biggest buyers, most of them in Asia, to continue importing limited volumes of Iranian oil. Gulf OPEC members said that rather than offset any shortfall resulting from the U.S. decision on waivers, they would raise output only if there was demand. But early on Wednesday, Brent had given up some gains, trading down 0.54 percent at $74.11 per barrel. U.S. crude dipped 0.54 to $65.94 a barrel. U.S. Treasury yields ticked lower. Benchmark 10-year Treasury notes yielded 2.5686 percent compared with a U.S. close of 2.57 percent on Tuesday, while the two-year yield, slipped to 2.3516 percent, compared with a U.S. close of 2.364 percent. The U.S. dollar index, which tracks the greenback against a basket of six major rivals, eased 0.03 percent to 97.606. The dollar was down 0.04 percent against the yen to 111.82. The euro edged 0.08 percent lower to buy $1.1216. Spot gold fell about 0.1 percent to $1,271.07 per ounce. (Reuters) – American middle class consumers are enjoying the strongest wage growth in a decade, but higher gasoline prices are eating a good chunk of that increase for many, and it looks like pump prices are headed higher. Gasoline pump prices have already jumped about 25% this year, the fastest rate in three years. Trump administration sanctions against Iranian crude oil exports had something to do with that, and this week’s move to tighten sanctions could soon send prices even higher. Crude oil prices hit their highest in about six months on Tuesday. Some analysts expect the national average pump price, currently near $2.85 a gallon, will climb above $3 a gallon for the first time since 2014. Few goods prices aggravate U.S. consumers as much as high gasoline prices. 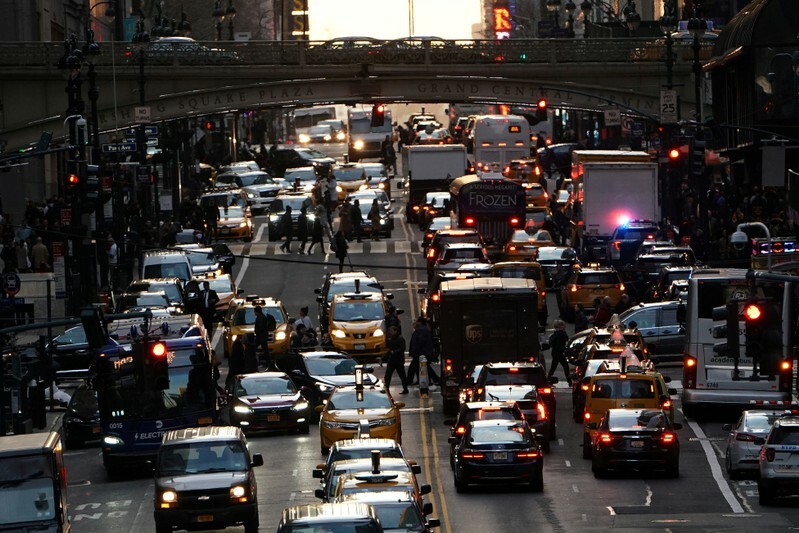 Zandi and other analysts said higher gasoline prices would irritate U.S. motorists heading into the summer driving season, but they do not think a moderate fuel price hike would force people to cut spending in other areas. For now, consumer spending has remained resilient, with wages growing in a tight job market. Average hourly earnings in the private sector are rising at roughly 3.2% year over year, the strongest in a decade. Those bigger paychecks helped pay for costlier gasoline after the Organization of the Petroleum Exporting Countries (OPEC) and allied producers including Russia reduced output to prop up prices. Retail prices for regular gasoline have risen around 55 cents a gallon so far this year from $2.30 at end of 2018, according to AAA, an automotive advocacy group. “So far it hasn’t been a particularly large headwind for U.S. consumers,” said Matt Luzzetti, senior economist at Deutsche Bank AG. The Trump administration called for buyers of Iranian oil to stop purchases by May 1 or face sanctions, ending six months of waivers that allowed Iran’s eight biggest buyers to keep importing limited volumes. Analysts noted that U.S. domestic crude production is surging and said higher output from OPEC and Russia could help offset losing about 1 million barrels per day of Iranian oil from world markets. 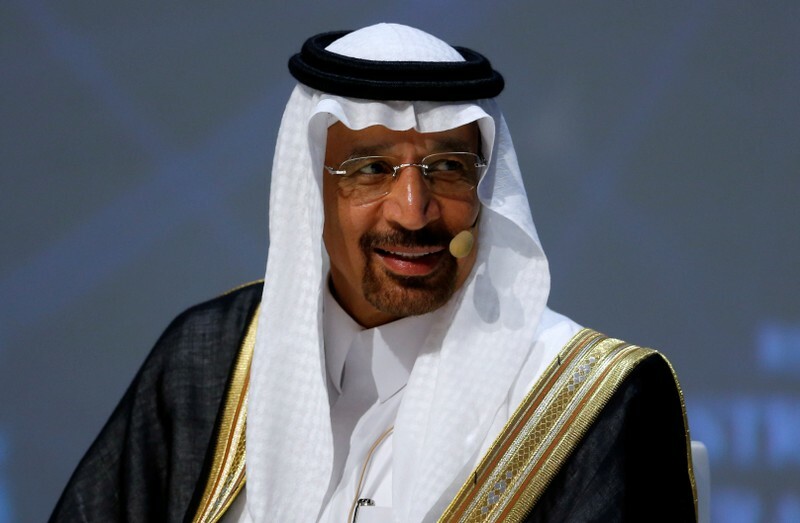 But sources on Tuesday said Gulf OPEC members were ready to raise output only if they saw sufficient demand. Some U.S. consumers are already paying $3 a gallon at the pump, and will feel the squeeze if prices rise further. In February, filling a 25.5 gallon tank of a sports utility vehicle with regular gasoline would have cost around $57 on average. That has risen to nearly $73, based on government data. For a $15-an-hour employee working 35 hours a week, filling up once a week now costs 14% of gross pay, up from less than 11% just 10 weeks ago. “I’m hyper-aware of the gas pricing,” said Brittany Trotter, a part-time driver for Lyft Inc based in Washington, D.C. She said rising fuel costs have cut her profits and stretched her budget. Even before the latest Iran news, drivers expected rising prices at the pump to cut their income. A survey in March showed consumers expected prices to rise 4.7% over the next year, the largest figure in nine months, according to the Federal Reserve Bank of New York. The consumers surveyed expected their wages to rise 2.6% over the year, though earnings growth expectations slipped for people with a high school diploma or less education. (GRAPHIC: U.S. gasoline demand, prices, GDP link: https://tmsnrt.rs/2Dtnnga). (GRAPHIC: Iran seaborne crude oil & condensate exports link: https://tmsnrt.rs/2DE8CHt). (GRAPHIC: Russian, U.S. & Saudi crude oil production link: https://tmsnrt.rs/2EUHeFO). WASHINGTON (Reuters) – The Republican and Democratic leaders of the U.S. House of Representatives Foreign Affairs Committee urged the Trump administration to reconsider its plan to cut aid to Central America, warning in a letter released on Tuesday that it could lead to increased Chinese influence. 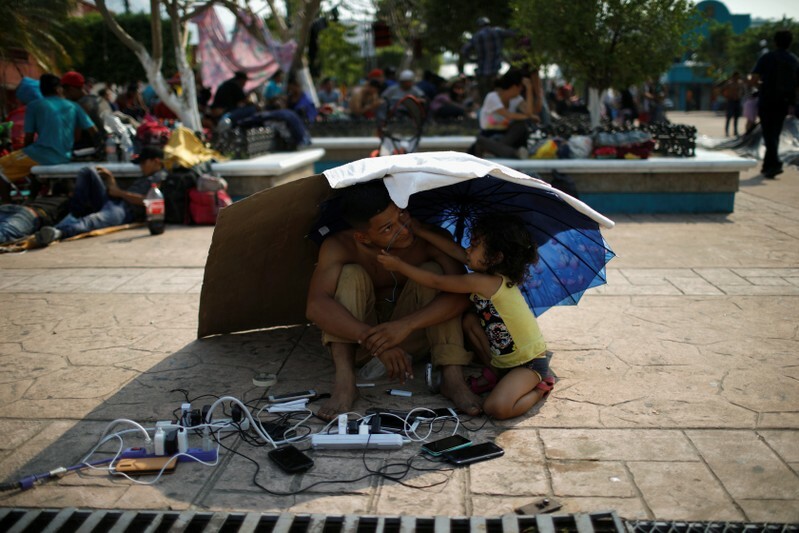 The State Department said last month it would cut aid to El Salvador, Guatemala and Honduras after President Donald Trump sharply criticized them because thousands of their citizens had sought asylum at the U.S. border with Mexico. “Assistance … is having positive results, and while improvements can be made, we believe that cutting assistance would be counterproductive and lead to increased migration flows to the U.S.,” Representatives Eliot Engel, the committee’s Democratic chairman, and Michael McCaul, its ranking Republican, said in a letter to Secretary of State Mike Pompeo. Cutting the aid would also raise doubts over the reliability of the United States as a consistent partner and create a void that China and other adversaries will look to fill, they said. World leaders are meeting in Beijing next week for a summit on China’s Belt and Road Initiative, which envisions connecting China with Asia, Europe and beyond with massive infrastructure spending. But it is viewed warily by Washington, which views the program as a way to spread Chinese influence and saddle countries with unsustainable debt. Several members of Congress, where several lawmakers, including some of Trump’s fellow Republicans as well as Democrats, have rejected the plan, saying it was cruel to cut off aid to countries grappling with hunger and crime and more likely to increase the number of migrants than decrease it. State Department officials did not immediately respond to a request for comment on the letter from Engel and McCaul. Mark Green, the administrator of the U.S. Agency for International Development, told a Foreign Affairs Committee hearing earlier this month that the administration had no plan to change its decision until Trump is satisfied that the countries are doing enough to address migration. Trump has made a hard line on immigration a central theme of his presidency, particularly regarding undocumented newcomers from Latin America via the southern border.